Chinook fanciers have long discussed Walden's height in relation to determining the size of Chinook through photos. The Ohio State University Archives have documents with a brief history and description of the men serving on BAE I including Arthur Walden. These facts on Walden are taken from one such document and should serve to answer any questions regarding Walden's height and the size of early Chinook dogs. In charge of dogs. Wonalancet, New Hampshire." "Height, 5 feet, 7 3/4 inches. Weight, 150 pounds. Blue eyes, gray hair, ruddy complexion. Scars on right cheek and right thigh." 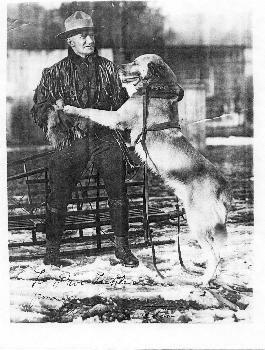 "Well known for his work with the dogs in the northern states and in Canada." 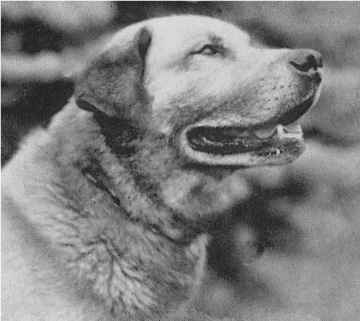 on BAE I: "Chinook Kennels"
Using this list of BAE I male Chinook dog weights to the left, the average weight for Walden's male Chinook Dogs was 76 pounds and the range in weights of the dogs was 65 to 90 pounds, with Chinook being the heaviest dog - heavier than any of his sons. 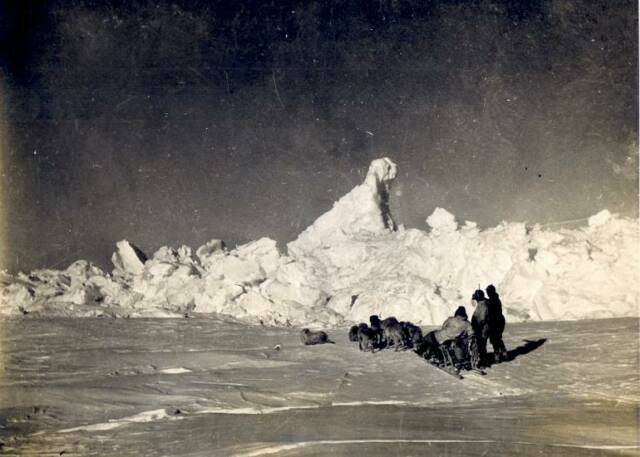 Chinook Dog History, Aurthur Walden, Wanalancet and More!